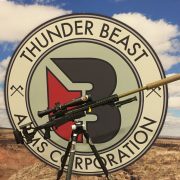 Thunder Beast has long been a go-to silencer for precision long-range shooters. This is in large part because the engineering that goes into their cans is as focused on things like repeatability and minimal point of impact shift as it is on noise reduction. (I have shot sub-half minute 5 shot groups while removing and […] Read More … The post [SHOT 2019] Thunder Beast Arms Corp. Bipod and QD .338 appeared first on The Firearm Blog. hand me that foldar Last summer, TFB’s Ray I. brought us news of the Double FoldAR. This is an AR Pistol that becomes ultra compact when folded into 3rds. Equipped with Dead Foot Arms’ Modified Cycle System, one can fire the gun after swinging the barrel assembly back into place. 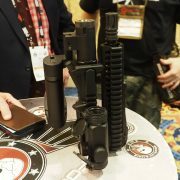 At SHOT Show 2019, I […] Read More … The post [SHOT 2019] Double FoldAR at Dead Foot Arms appeared first on The Firearm Blog. plugin api call to do editmetadata->merge functions? I'm playing around with a plugin that does some custom duplicate finding (yeah I know about the existing duplicate finder plugin) and I'd like to, in some cases be able to make a db api call that does the same thing as 'edit metadata'->'merge' from the menu or 'M' keypress. Is that function exposed via the api that plugins can call? Check out the new Remington 700 Bolt Action Pistol. Joel talks to one of the Remington sponsored shooters about this pistol and gets all the details. ««« PATREON GIVEAWAYS »»» Go to http://tfbtv.gun.team for details on our monthly gun giveaway. TFBTV is giving away one gun a month to a randomly selected $5-level (and higher) […] Read More … The post [SHOT 2019] Bolt Action Pistol From Remington appeared first on The Firearm Blog. While HK didn’t have anything earth-shattering at SHOT 2019, they did want to talk about expansions to their .22lr HK416 rimfire line and also discuss details about the H&K VP-9B at SHOT Show 2019 Industry Day at the Range. ««« PATREON GIVEAWAYS »»» Go to http://tfbtv.gun.team for details on our monthly gun giveaway. TFBTV is […] Read More … The post [SHOT 2019] H&K at the SHOT Show Range appeared first on The Firearm Blog. While HK didn’t have anything earth-shattering at SHOT 2019, they did want to talk about expansions to their .22lr HK416 rimfire line and also discuss details about the H&K VP-9B at SHOT Show 2019 Industry Day at the Range. ««« PATREON GIVEAWAYS »»» Go to http://tfbtv.gun.team for details on our monthly gun giveaway. TFBTV is […] Read More … The post [SHOT Show 2019] H&K at the SHOT Show Range appeared first on The Firearm Blog. Welcome to Mailroom #19, where James Reeves of TFBTV opens and reads your crappy letters and packages. ««« PATREON GIVEAWAYS »»» Go to http://tfbtv.gun.team for details on our monthly gun giveaway. TFBTV is giving away one gun a month to a randomly selected $5-level (and higher) Patreon supporter. All Patreon supporters at a $5 monthly […] Read More … The post TFBTV Mailroom No. 19: Coconuts and Bananas, The Waifu Strikes Back appeared first on The Firearm Blog. Via reddit, I found this interesting. I simply cannot see that fully automatic M14 being controllable by anyone, and by any stretch of the imagination. And why would you have a fully automatic M14 that is magazine-fed, only to interrupt fire to change magazines? To me, an M249 SAW (fed with drums) is a much better weapon for the purpose. 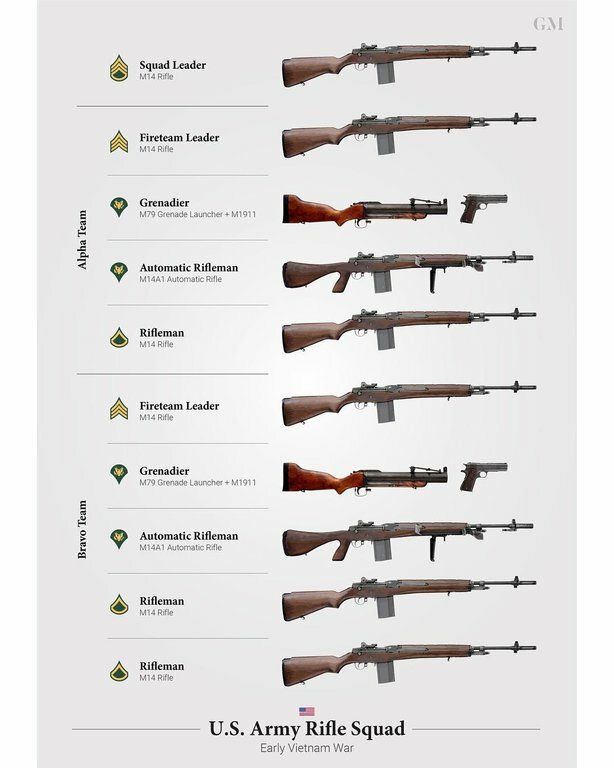 On the other hand, if all you have is the M14 series of guns, having one capable of selective fire isn’t a bad idea. It’s just inferior to the SAW. 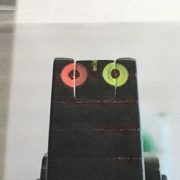 [SHOT 2019] Whoosh Sights, a new take on irons. Stance, grip, sight alignment, sight picture, breath control, trigger squeeze and follow through, all important elements for good marksmanship. Of these, for a precise pistol shot, I prioritize sights and trigger. I demonstrate this to my students by standing like a flamingo (poor stance) griping too low on the frame (poor grip) and holding my […] Read More … The post [SHOT 2019] Whoosh Sights, a new take on irons. appeared first on The Firearm Blog. Even though TFB was entrusted with the task of officially breaking the news on PTR’s newest roller–delayed firearms just a week before SHOT, it was nice to finally see them in person on the show floor. 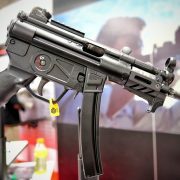 The 9KT is obviously a roller-delayed pistol formed in the likeness of the original HK MP5K, and the PTR […] Read More … The post [SHOT 2019] NEW PTR 9KT And 9R Roller-Delayed Firearms appeared first on The Firearm Blog. Over the past few years a bunch of companies have been releasing parts to build Roland Special Glocks, what’s that? It’s what all the gun fighters are building these days. RMR cut slides, threaded barrels and flared magwells. Well that trend has moved onto other pistols, even the 1911 is getting in on the action. 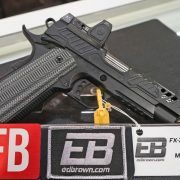 […] Read More … The post [SHOT 2019] Ed Brown and ZEV Technologies 1911 appeared first on The Firearm Blog. Is there a setting to prevent the conversion from AZW3 to EPUB from creating two columns in one page? Check out the all new Delta 5 bolt action precision rifle from Daniel Defense! I attended a media event back in the fall and was able to shoot this gun quite a bit, and I have to say they’ve got something fairly unique here. It’s worth a look. ««« PATREON GIVEAWAYS »»» Go to http://tfbtv.gun.team […] Read More … The post [SHOT 2019] The Delta 5 – Daniel Defense’s New Bolt Action appeared first on The Firearm Blog. Assuming Calibre is not running at the moment, does Code: rm -r ~/CalibreLibrary/AuthorDirectory/BookDirectory cause Calibre any harm, grief, or confusion? Thanks. This year Century Arms had two big ticket items on the SHOT 2019 list. The first was the company’s custom line of AK-patterned rifles and Canik handguns that were worked on by a custom shop outside of Century. Century Arms gave them carte-blanche to complete different modifications to the AK rifles and with different finishes applied […] Read More … The post [SHOT 2019] Century Arms WASR Imports and Custom AK/Canik Line appeared first on The Firearm Blog. [SHOT 2019] Stag’s NEW 10mm Glock Mag-Fed Carbine! There have been a LOT of new 9mm carbines at SHOT however, Stag is doing something a little bit different with the 10mm Glock fed AR15 PCC that they are introducing in the very near future. ««« PATREON GIVEAWAYS »»» Go to http://tfbtv.gun.team for details on our monthly gun giveaway. TFBTV is giving away one […] Read More … The post [SHOT 2019] Stag’s NEW 10mm Glock Mag-Fed Carbine! appeared first on The Firearm Blog. A few months back I started planning a custom finish for my Sig Sauer Rattler PDW. Having my fair share of Cerakote coated guns, I wanted to try something new; eventually stumbling across a treatment called Tanodizing. 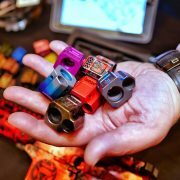 The process involves Type II anodizing – a room temperature charged solution that can include a number of […] Read More … The post [SHOT 2019] Colorful Creativity From Outlaw Anodizing appeared first on The Firearm Blog.